I found this on reddit.com and I think it’s the best set of chess I’ve ever saw. Over 2000 reddit users thought the same way. 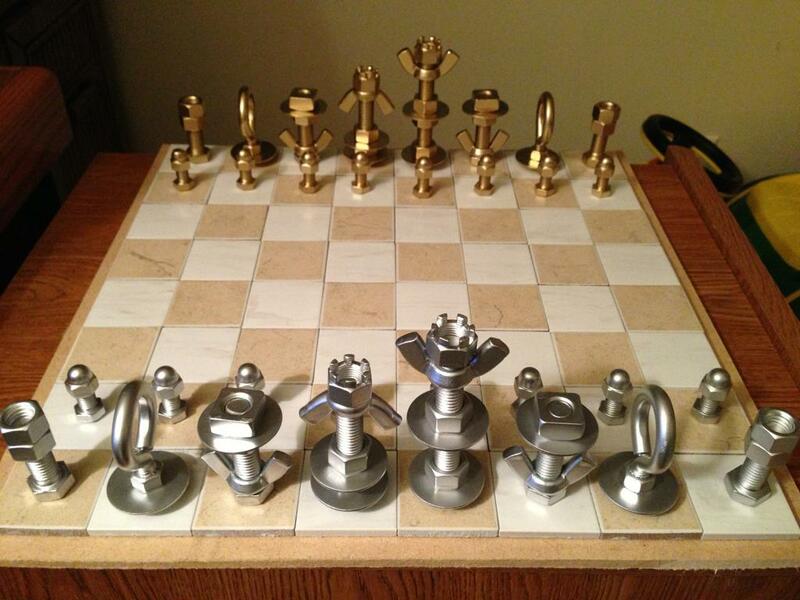 The guy who created this cool chess set used only bolts and nuts to depict every chess piece in the game. Just take a look at “The King”. Wow… I’m sure that someone is thinking right know to find a way to get a commercial patent for this idea.